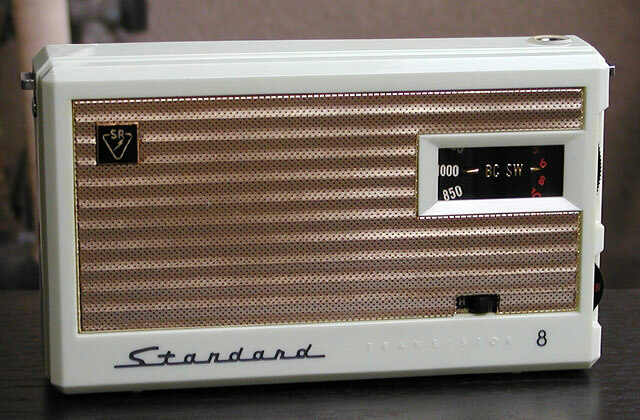 The 8-transistor SR-H100 was Standard's first 2-band transistor radio. I don't have a specific release date on the model, but it must have appeared on the market around July or August of 1958. The unit pictured here looks to have been built in August '58, and the model appears in a review of 2-band radios that would have been on the newsstands by September of the same year.